Electrical rewiring can be the result of outdated, faulty or dangerous home wiring. It commonly ends up being replaced when you move house; this is bad news for whoever has just moved in as this is an extra expense on top of what they have paid to move house. The electrical wiring within your home could be outdated – when was the last time you had an electrical inspection? 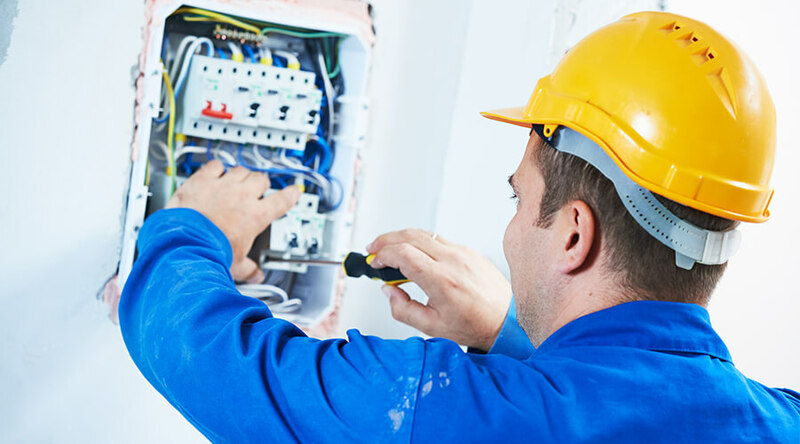 An electrical Inspection can be carried out by electricians Milton Keynes for an affordable price; your electrician will test all the electrical wiring within your home to check that everything is in a safe working order. If any problems should arise, then your electrician will address the problem and see if that particular issue can be fixed without having to completely rewire your home. Although rewiring your home may not always be essential it is a good thing to do as it can over the course of time save you money and make your home more efficient. If you want to know why then keep reading! Many old homes have a tiny 60 amp threshold, which may sound like a reasonable amount but when you compare that to the modern day home with a 100amp is quite a significant difference. 60amp is seen as unreliable, and it is mainly found within victorian and timely homes, if this sounds like the kind of house that you live in, then you should consider having an electrical inspection to check the efficiency of your home, and it’s wiring. Because if your home is being overloaded, then it can be a danger and may potentially cause a house fire or electrical shock. Or if your electrical wiring is just faulty but not broken then the sooner you catch the issue and address it then the more chance you have of fixing your homes electrics without the entire system shortcutting leaving you with no electricity. Although electrical rewires can be slightly costly it turns out that they are worth it, in the end, the harder your electrics are working to keep everything in your home powered the more energy that is being wasted – and the more it is costing. If your electrical wiring is updated and efficient, then your home is going to have no problem powering all of the appliances within your kitchen, office, bedrooms and living room without causing you to excessively spend money on your energy bills. So rewiring your home can save you money and help make your home more efficient. You may not think it, but even small checks and alterations to your home that make it more efficient are bound to add value onto the resale price of your home. Electrical rewiring makes your home more efficient, and it also ensures the working order of your electrics for the foreseeable future for any potential buyers. Although if you currently rent your property, then you have no worries regarding this situation as it is your landlord’s duty to ensure that things like regular boiler services and electrical inspections are put into place. Like we briefly mentioned earlier, outdated or faulty electrics are a recipe for disaster, bad electrics can potentially make plug sockets, light fixtures and light switches dangerous to use and prone to a house fire. To ensure the safety of yourself and your family you should consider contacting electrical contractors Milton Keynes so carry out an inspection. You should also take into consideration any heirlooms and irreplaceable items that you have that could potentially be ruined by something like a house fire – you should do whatever you can to protect you, your family and your belongings because things like home insurance cannot replace the irreplaceable. Many insurance companies if you have not had an electrical inspection in a certain amount of time will not offer your insurance or will increase the rate that you have to pay for home insurance. So, all in all, it’s important that you have regular electrical inspections to make sure that everything in your home is in safe working order. Because the last thing that you want is for your entire home’s circuit to short circuit and you be left with no electricity for days. If you have any building issues, then please make sure you contact builders Milton Keynes for all of your building and home needs. We hope that this article was helpful, if it was then why not share on social media?